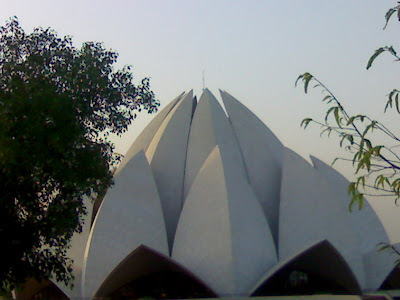 This is the famous Baha'i Temple, also known as the Lotus Temple because of its Sydney Opera House inspired structure. It is a very calm and quiet place that takes one away from the doldrums of the city despite being in the center of chaos. This is far nicer than that dirty old opera house! It looks very much like a blooming flower.